RALEIGH — Campbell Law Dean J. 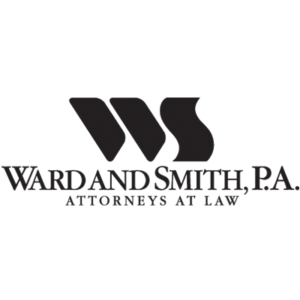 Rich Leonard has announced three alumni of Ward and Smith, P.A. have offered to financially sponsor a team of Campbell Law student advocates. 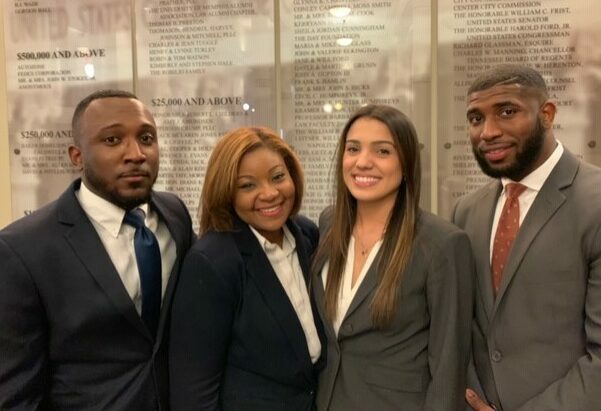 The firm is sponsoring a team to compete at the regional Constance Baker Motley Mock Trial Competition, which is hosted by the National Black Law Students Association (BLSA) in Memphis, Tennessee. The team includes third-year law students Tatiana Terry, Maurizio Lewis-Streit, Nichad Davis, and Ashley Urquijo. The team is coached by 2015 graduate and former Wallace Advocacy Fellow Kimberly Dixon. The Constance Baker Motley regional competition consist of a maximum of 18 teams. Rounds simulate a civil trial proceeding where each team, consisting of four members each, offers opening statements, direct and cross examination of witnesses, and closing arguments. Advocates are evaluated on their overall courtroom presence, command of the Federal Rules of Evidence and Federal Rules of Civil Procedure, teamwork, and timeliness and accuracy of objections. Charles Ellis, a 1983 Campbell Law graduate, is a personal injury attorney with Ward and Smith. Ellis’ practice experience encompasses federal and state court litigation in various areas, including claims for wrongful death and serious personal injury. He has also litigated numerous cases involving complex insurance coverage issues, products liability, and professional malpractice. Lynwood P. Evans, a 1999 Campbell Law graduate, leads the Personal Injury and Wrongful Death Practice Group for Ward and Smith. His practice experience encompasses a wide variety of civil litigation in both state and federal courts. He has extensive experience in all aspects of litigation, including depositions, hearings, and mediations, as well as, arbitrations, appeals, and cases tried to jury verdict. S. McKinley (“Ken”) Gray, III, a 1993 Campbell Law graduate, leads the Labor and Employment practice for Ward and Smith. His practice experience encompasses various areas of employment-related litigation. He advises clients and litigates cases involving all forms of employment discrimination, wrongful discharge, and breach of employment contracts from small start-up companies to Fortune 500 corporations.